OChem Structure Drawing Templates - Organic Chemistry Explained! Let's face it, in Organic Chemistry you draw a lot of hexagons! 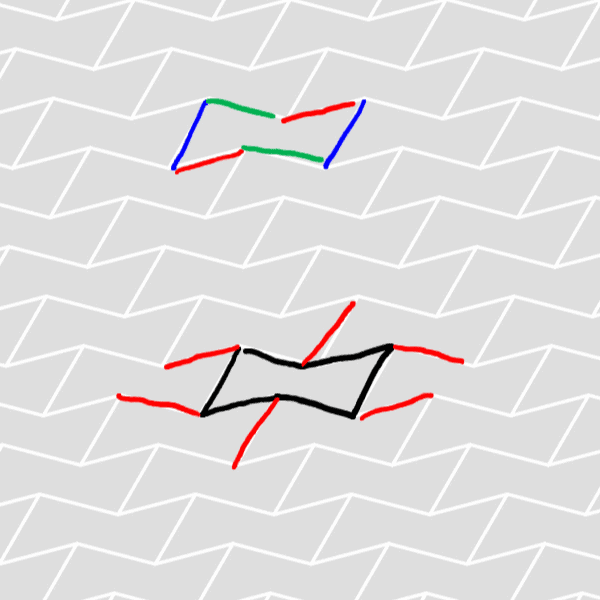 And zig-zag (bond-line) structures with the same 120° angles. Templates help you draw these structures - they guide your hand to create these shapes, without even thinking about it. By the time you get to your OChem exam, muscle memory has kicked in and you'll be drawing great structures on your exam paper. 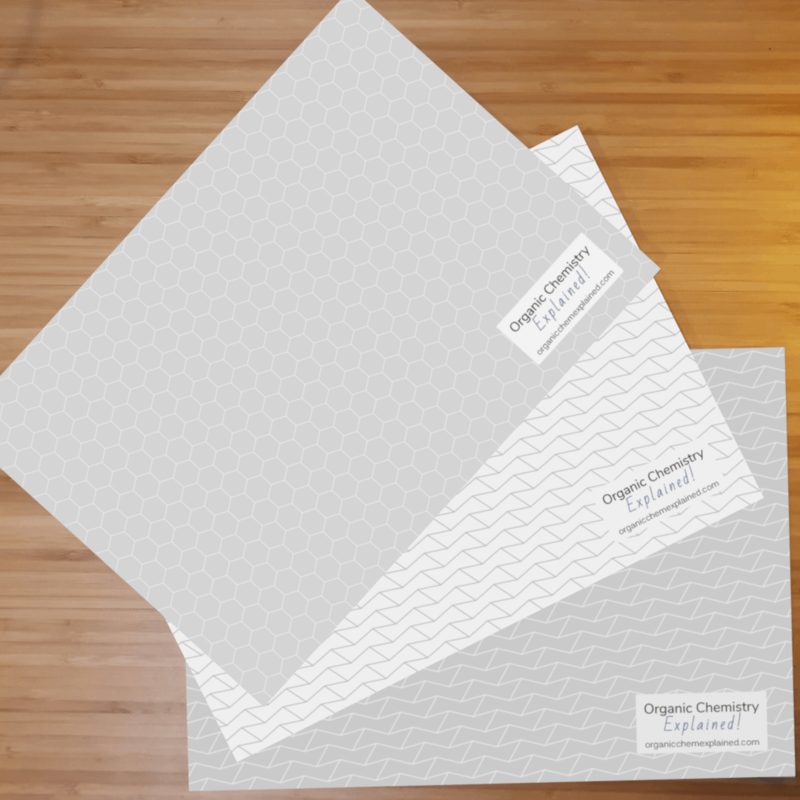 'White Bonds' templates have great contrast and look stunning without distractions. 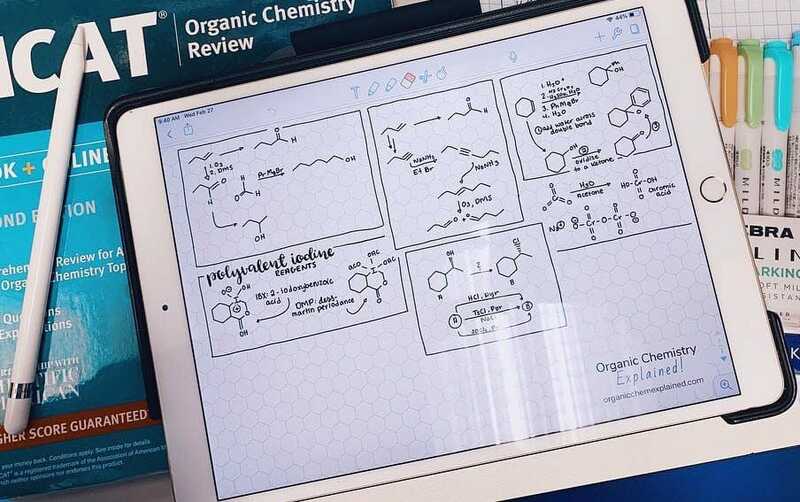 Take notes, study and solve orgo problems on iPad using Notability or GoodNotes apps. With iPad and Apple Pencil, take beautiful, accurate and well-proportioned notes. Use Notability, GoodNotes or your favorite note-taking or annotation app with Landscape templates. 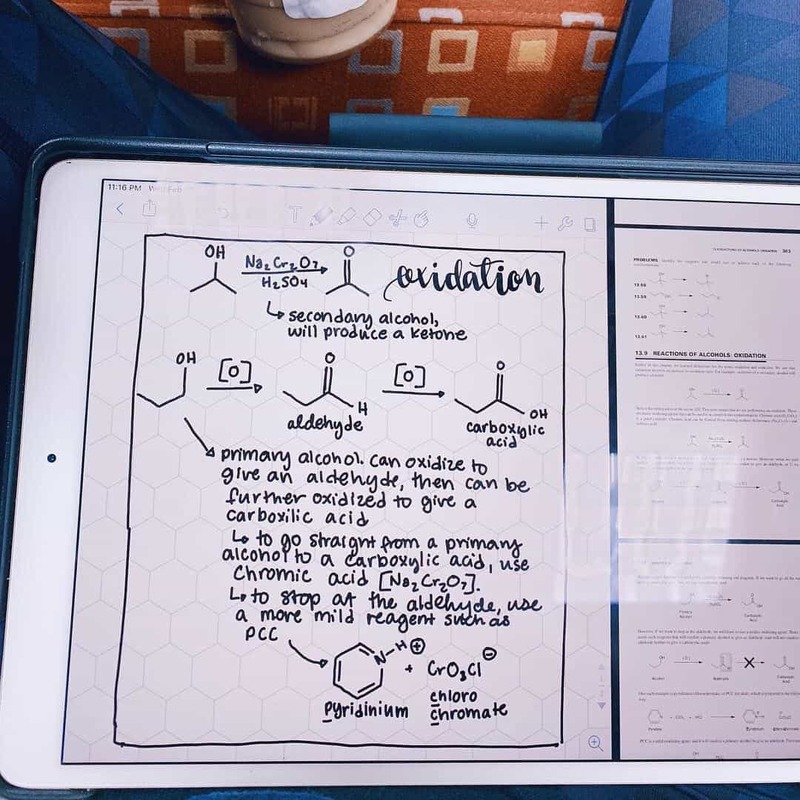 Write notes and answer questions from your textbook, Professor's notes, the Web and YouTube - side-by-side using Split View. "How do You Draw Chairs, Again?" Chair cyclohexanes are hard to get the hang of! Let's face it - chair cyclohexanes are not the easiest shapes to get used to drawing. And then, there's the axial and equatorial substituents! Using chair conformation templates, your hand is guided in drawing perfect chairs and you'll know exactly how to draw those axial and equatorial substituents. A template to suit every need! Credit Card (VISA, Mastercard, American Express) and PayPal payments accepted. Payments are securely handled by Stripe or PayPal. Your PDF files will be securely delivered via email by SendOwl. Can Your Structures be Better? Beautiful structures are not only nicer to look at, they also convey meaning more accurately. Don't risk losing marks at exam time on badly drawn structures! 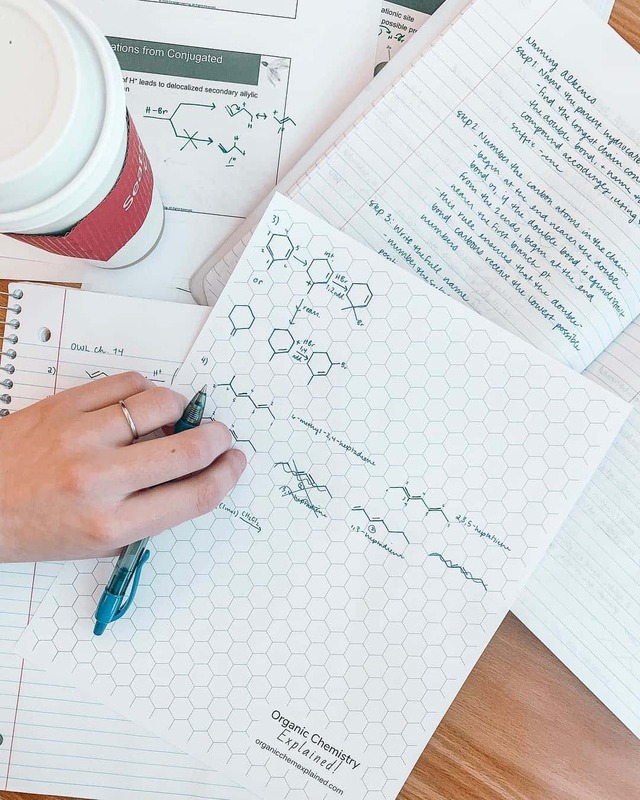 I'm committed to helping students excel in Organic Chemistry and I believe these templates can help you do just that. I'm so sure of this that I offer a 30 day money back guarantee. If you use these templates and find that they did not help you to draw better structures, simply email me to receive a full refund on your purchase of the templates. © 2019 Mark Coster. All rights reserved.